Our 7-day keto diet meal plan will help you choose the right keto foods, keto snacks, and give you keto recipes for breakfast, lunch, and dinner. 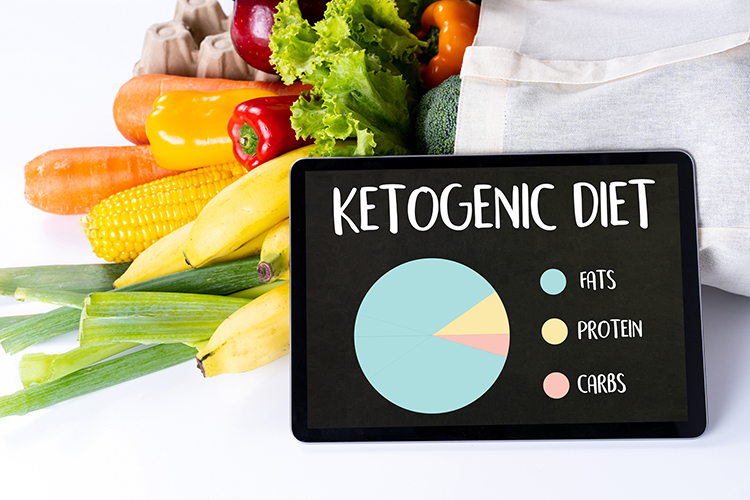 The ketogenic diet is proving to be one of the most effective weight loss methods today, so give it a try! Would you love to indulge in all the steak, cheese and butter you can eat while having your energy levels soar and melting belly fat? Well, that’s what the keto diet promises and the outcomes are actually incredible! 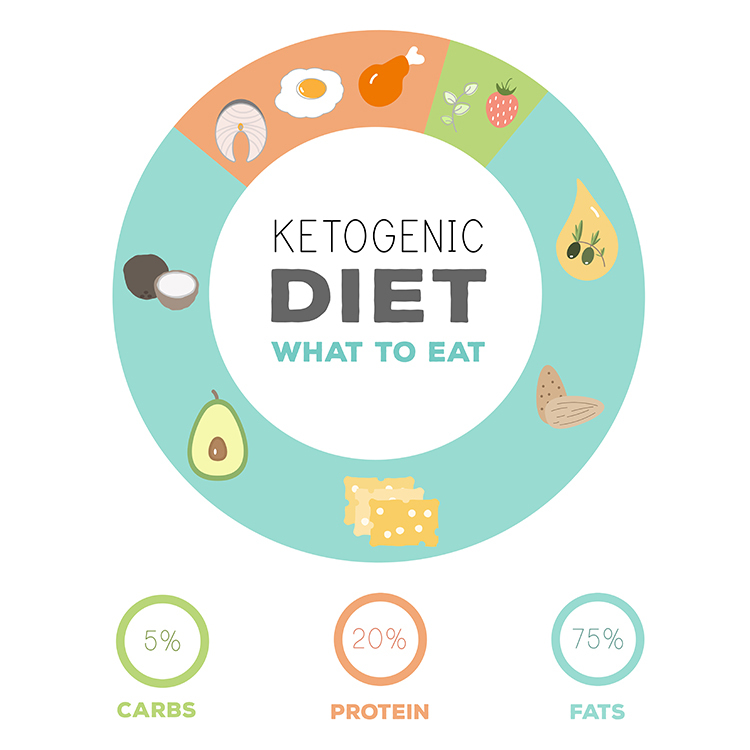 A ketogenic diet also called the keto diet is a very low-carbohydrates and high-fat diet. It is easily confused with the Atkins diet and other low carbohydrates diets. It requires reducing your carbohydrates intake while increasing your fats intake. 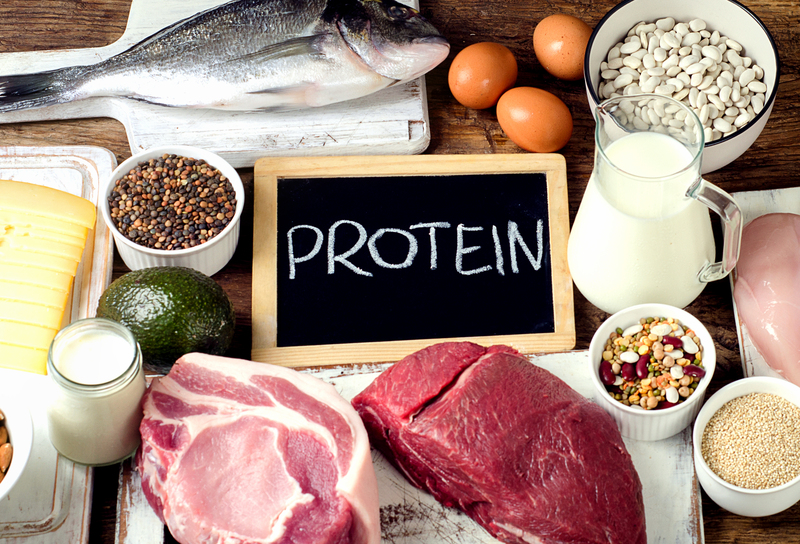 When on a keto diet, you will also eat plenty of protein and vegetables (in small portions). The reduction of carbohydrates intake makes your body enter a metabolic state known as Ketosis. This metabolic state involves breaking body fats into energy, a situation that occurs due to an insufficient level of glucose. Thus, the body resorts to using body-fats or lipids as a source of fuel and breaks them into ketones. When you maintain a keto diet, your body continuously burns fat for energy. This process can help you reduce your weight and body fat levels. 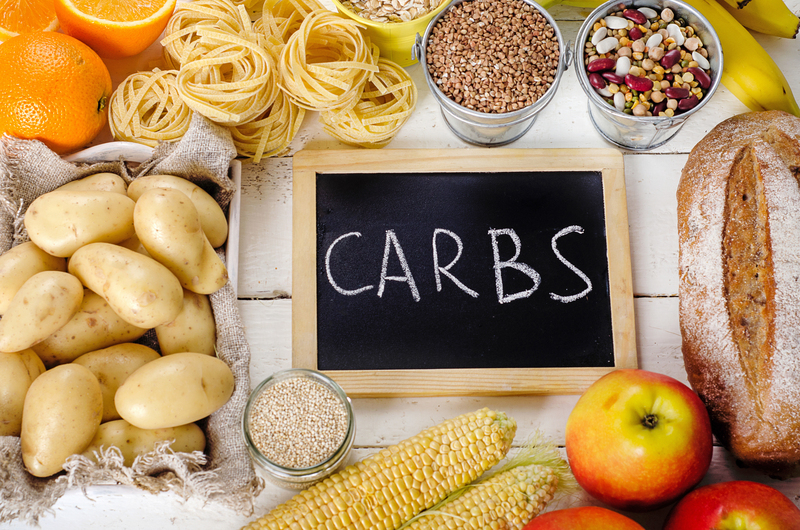 In a normal diet with high carbohydrates, your body produces glucose and insulin. Since glucose is used as the main source of energy, your body fats are not needed, therefore they remain stored. This explains how the ketogenic diet will help to get rid of excess body fat. The major aim of this diet is to force your body into a ketosis metabolic state. If you diet to lose weight, note that you will not achieve it by starving yourself via depriving calories. The best way to achieve weight loss by reducing your carbohydrates. The ketogenic concept works with the fact that our bodies are highly adaptive to what we feed them. When you deprive the body with carbohydrates and consume a higher level of fats, it will start to burn off fat stores for energy. Ideally, on the keto diet, around 5% of your daily calories will come from carbohydrates. Keto dieters usually eat around 20-50 grams of carbohydrates per day. This measure is roughly equivalent to two slices of bread and a banana. In addition to weight loss, these low carbohydrates bring along several other health benefits which we will discuss later. Meats: Red meat, ham, steak, bacon, sausage, chicken, and turkey. Fatty fish: Salmon, mackerel, trout, and tuna. Eggs: Pastured or omega-3 whole eggs. Cheese: Unprocessed cheese such as cheddar. Butter and cream: Use butter from grass-fed livestock. Healthy oils: Extra virgin olive oil, avocado oil, and coconut oil. Nuts and seeds: Almonds, flax seeds, walnuts, pumpkin seeds, and others. Low-carbohydrates veggies: Most green leafy veggies, onions, tomatoes, peppers, etc. Condiments: Salt, pepper, spices, and healthy herbs. Grains or starches: Wheat-based products, cereals, rice, pasta, and more. Sugary foods: Soda, fruit juice, cake, smoothies, candy, ice cream, etc. Fruit: All fruit, except avocados and small portions of berries. Beans or legumes: Kidney beans, peas, chickpeas, lentils, etc. Root tubers and vegetables: Sweet potatoes, potatoes, carrots, and others. Low-fat or diet products: These highly processed products are often high in carbohydrates. Some condiments: They often contain sugar and unhealthy fats. Unhealthy fats: Limit processed vegetable oils intake, mayonnaise, etc. Alcohol: Their high carbohydrates content make them unsuitable for the keto diet. Sugar-free diet foods: They are highly processed and also high in sugar alcohols, thus can affect ketone levels. Cancer treatment: This diet is currently in use to treat various types of cancer and some tumor growth. Heart disease benefit: The keto diet reduces heart disease risk factors such as cholesterol level, body fat, blood sugar, and blood pressure. Type 2 diabetes health benefit: This diet helps eliminate excess fats as well as reduce risk factors for type 2 diabetes. Weight loss: Many healthy people are going ketogenic to reduce body weight. Those that have used this diet suggest it’s highly effective. Health benefits: Alzheimer’s disease symptoms, acne, and brain injuries occurrences are reduced by taking the keto diet. In late August 2018, the 61-year-old former Today show anchor posted on her Instagram Stories that one week into the diet she did felt better but hinted that she had experienced some keto flu symptoms, Women’s Health reports. ” Either the fourth or fifth day, I felt a little shaky and a headache, but I feel much better,” Couric said on Instagram. The 51-year-old actress has not been shy about her passion for the keto diet. She told People in 2018 that she is a big meat eater and doesn’t fill up on pasta or anything with added sugar, thus a good candidate for keto. Instead, she admitted she fills her plate with healthy fats, like avocado, coconut oil, and butter. She is considered among the healthiest of the Kardashian bunch. According to a People story from February 2018, Kardashian shared that going keto was a “really positive experience.” She narrated she first went keto after doctors found high levels of mercury in her blood. She now eats cauliflower rice or broccoli rice instead of carbs. Preparing a keto diet won’t take up all your time. The critical aspect of making a keto diet is a meal plan. You will need macronutrients which include all three macronutrients; carbohydrates, proteins, and fats. While on the keto diet your total calories breakdown will be 75% consumed from fats, 20% consumed from protein and 5% consumed from carbohydrates. Keto meals generally don’t take long to prepare and you can consider preparing larger batches that you can freeze or refrigerate to save time. 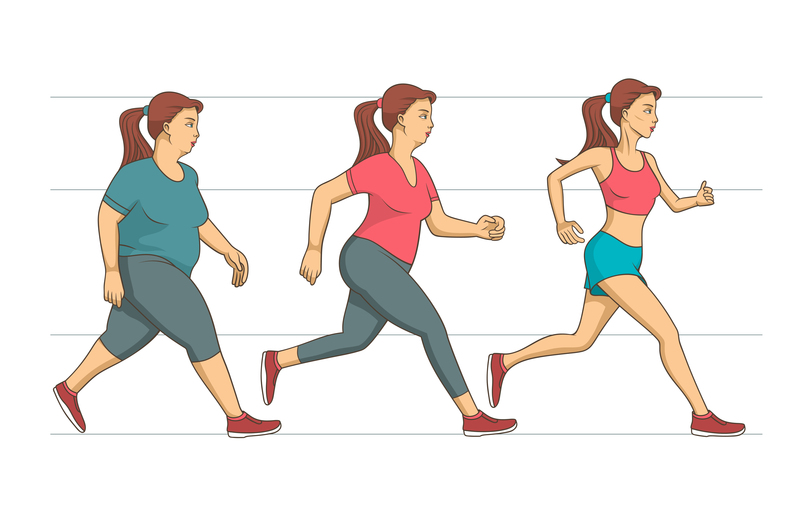 If you are using keto to lose weight, you may be wondering how fast you will see results. It is wise to note that the rate of weight loss varies depending on a number of things. These include your current health, your daily habits, your body composition and your rate of adaptation to this diet. For instance, the more you are exercising the quicker your body becomes more efficient at burning fat. On average you can expect to lose 10 or more pounds during the first few weeks. There is a quick drop of weight at the beginning as the keto diet makes your body lose a lot of water weight due to low carbohydrates intake. Later on, you will have a consistent but a lower rate of weight loss. When you begin a keto diet, the first and essential step is to prepare yourself for it which makes it easier to follow. Always stick to your diet and track your carbohydrates intake and consume protein with each meal to help you feel full. If you are using the diet for weight loss it is a great diet and many people have stayed on this diet for as long as 12 years. Many people think that a keto diet is expensive but contrary to this it can save you money. This diet involves cutting out a lot of processed foods which are expensive. Moreover, keto cooking skills are cheap to learn and master. 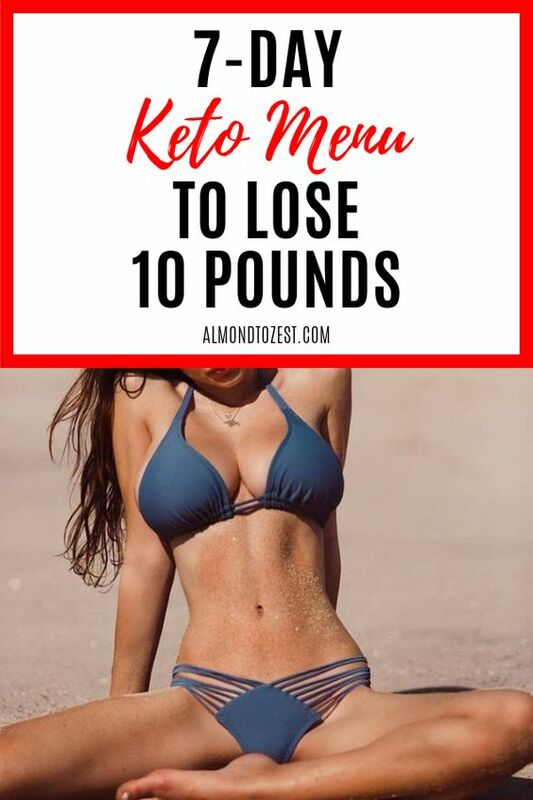 You can get a keto diet ebook online, and you are set. This meal plan is for someone eating 1,600 calories per day with a macro-nutrient breakdown of 100 grams of protein, 125 grams of fat and 25 grams of carbohydrates. Anyone who decides to take this route and go on a ketogenic diet should consult their doctor first. The doctor should first conduct a functional test to analyze if you have any nutrients deficiency. 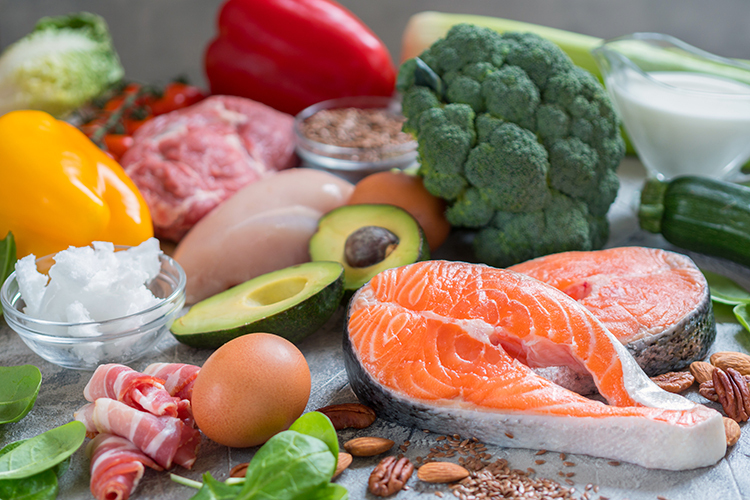 Once you’re cleared by your doctor the ketogenic diet is an excellent route to go whether your goals are for weight loss or the numerous health benefits. Does the seven day meal plan have recipes?